Our monthly tuition is determined by the total amount of time your child is taking dance class per week. *Below is the price for Aug-May Dance Season. Please see our Summer Schedule for Summer Pricing. Please add your total time in the studio per week, PER STUDENT to determine your monthly cost. Company clogging on SUNDAY should be calculated as if it were every week. Company Clogging classes on Sunday should be calculated as if it where every week. For Example: If you are in Excel, Extreme, or Elite clogging class only, your monthly tuition would be $60. Family Discount: The family discount applies only to the monthly tuition. The discount for 2 students per family is 10% off the youngest dancer total monthly tuition and families with 3 or more students the youngest child will receive 15% off total monthly tuition. For Example: Oldest child takes 1 hour class, and the second youngest child takes 1 hr 45 min class each week ($60 + ($85 - 10% (family discount on youngest child)) = $136.50 monthly tuition. It is not the cost of 2 hours 45 min, it is the cost of 1 hour, plus the cost of 1 hour 45 min, minus the family discount on the youngest dancer only. Pay in Full Discount: If a family has 1-2 dancer(s) and pays in full by September 1st the dancer will receive a 10% paid in full discount. For example: Dancers tuition for the year is $400.00 to pay in full would be $360.00. If a family has 3 or more dancers, the year tuition for all dancers will be added together and will receive a 15% total paid in full discount. For Example: if there are 3 dancers and dancer 1 has a year tuition of $500.00 Dancer 2 year tuition is 650.00 and dancer 3 is $400.00 they will be added together $1550.00 minus the 15% paid in full - Total due is $1317.50. *There are not multiple discounts added together. *To recieve pay in full discount, you must pay for all dancers up front. You can NOT pay for one dancer and recieve the paid in full 10% discount and pay second dancer monthly and recieve the 10% off youngest dancer. Tuition Installments: Tuition is based on a 9 month calendar (36 weeks) beginning on August 20, 2018 and ending on May 19, 2019. The first installment is due September 1, 2018. Tuition can be paid monthly or in full at time of registration. Tuition installments are not based on a four-class-per-month rate but rather on the annual cost divided into 9 payments. Installments are due on the 1st of the month and late on the 10th. A late fee of $10 will be charged on the 10th – NO EXCEPTIONS. Payments can be made online through our Customer Portal. We accept VISA and MASTERCARD. Payments can also be paid in the studio by cash or check. If we are closed due to a holiday you may mail your payment or pay online through your customer portal. If the payment is not received by the end of the month, your child will not be allowed to participate in class until the account is paid. Returned checks will be charged $25. Recital Stage Fee: $65 per family due with registration and is nonrefundable. This stage fee covers the cost of the recital auditorium rent for rehearsals/recital, back drops/scenery, props, lighting, audio and recital help. This fee is paid PER FAMILY, if you have one, two or three children you still only pay ONE stage fee. Recital Tickets: $12 for Competition Showcase and $15 for recital. Tickets are general admission and you must have a ticket for each show. Costumes: Pre-Dance I & II costumes will be a 2-in-1 costume ranging from $55-$75, 5 years and older will have costumes for each class (combo classes will have a costume for each dance) ranging from $60-$80, Company and Competitive class costumes will range from $70-$100. We strive to keep costume cost to a minimum. A $30 non-refundable per costume deposit is due October 1, 2018. This deposit(s) lets us know you are ordering a costume(s) and are responsible for paying the remaining costume balance that will be due December 1, 2018. Once costumes are ordered they are non-refundable. Tights: Color of tights will be based on costumes, and must be purchased through Prestige to ensure uniformity. Amount due February 1, 2019. Shoes: Prestige does require dancers shoes to be purchased through our studio to ensure uniformity. All shoes must be purchased by February 1, 2019 to dance in the recital. Recital T-Shirt: Recital t-shirts will be worn in the finale of the recital and are $25. All detailed pricing, due dates, and other information will be included in the Company/Competitive Audition Packet. All company members are eligible to compete a solo, duet, or trio. Any non-company member who wishes to compete a solo, duet, or trio will need to talk with Mrs. Aleah for further information. Please contact the studio for pricing information. 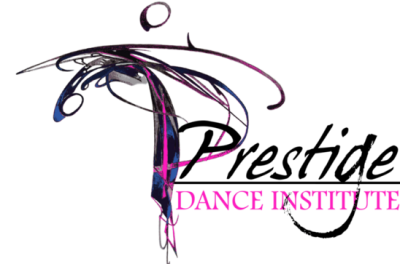 If, for any reason, you must discontinue classes at any time once enrolled with Prestige Dance Institute, Inc., a 30 day written notice is required. A withdraw request must be submitted to [email protected] to be withdrawn from a class. This will be considered the 30 day written notice. Payment is still expected for the 30 days and a dancer can attend the class during the 30 day withdraw notice. If a dancer withdraws after October 1st or we had a written notice of a payment, that indicates your request for a costume to be ordered and you will be responsible for the remaining balance. *Any unpaid accounts by June 1st of each year will be sent to a collections agency for further payment.